I have previously argued that abuse registries can be helpful in preventing future abuse for institutionalized populations. [i] But the mere existence of a registry does not guarantee its success. Indeed, any such registry should be held to standards of accuracy and reliability for due process purposes, and should allow for the possibility of expunging. Unfortunately, many existing child abuse registries fail to live up to these standards. even agency records that are meant to remain private have a way of getting used for other purposes. In the case of child abuse registries, there are several problems. First, they are permanent, with no allowance for rehabilitation, deeming parents forever unfit to care for children without evidentiary proof of such permanent damage. Second, there is a circuit split over whether mistaken listing on a child offender database deprives an individual of a liberty interest. In Smith ex rel. Smith v. Siegelman, the Eleventh Circuit did not see a violation of due process just because the plaintiff could not prove diminished employment opportunities; while the Ninth Circuit found a due process violation under a similar fact pattern in Humphries v. County of Los Angeles. The problem is not inherent to the existence of databases. Instead, the problem is with a database that can have such dramatic effects on employment opportunities and future parenting within a system that lacks effective remedies for mistaken entries or acknowledgement of rehabilitation. States should ensure efficient removal procedures, because it would both protect liberty interests for mistakenly charged individuals, and because it would focus government resources on children who are actually in danger. –Emily Goldman is an editor for MJEAL. [i] See MJEAL Blog Post: Protecting Those Who Need it The Most: Does New York Need to Rethink its Regulation of State Institutions for Persons with Disabilities? [ii] John Sherman, Procedural Fairness for State Abuse Registries: The Case for the Clear and Convincing Evidence Standard, 14 J. Gender Race & Just. 867, 869 (2011). [iv] Lawmakers seek closer monitoring after abuse, Julie Bykowicz and Gadi Dachter, Baltimore Sun, Jan. 11, 2008 (comparing the Maryland proposal to “Michigan’s ‘new birth match,’ an automated check of birth records against a database with the names of individuals who have had their parental rights terminated”) (available at http://articles.baltimoresun.com/2008-01-11/news/0801110293_1_abuse-and-neglect-child-protective-child-welfare). [v] Shaudee Navid, They’re Making A List, but Are They Checking It Twice? How Erroneous Placement on Child Offender Databases Offends Procedural Due Process, 44 U.C. Davis L. Rev. 1641, 1643 (2011). [vii] Valmonte v. Bane, 18 F.3d 992, 999 (2d Cir. 1994). [viii] Shaudee Navid, They’re Making A List, but Are They Checking It Twice? How Erroneous Placement on Child Offender Databases Offends Procedural Due Process, 44 U.C. Davis L. Rev. 1641, 1654 (2011). [ix] W. Todd Miller, The Central Registry Statute for Abuse and Neglect Matters Is Constitutionally Flawed, 8 Rutgers J.L. & Pub. Pol’y 651, 652 (2011). 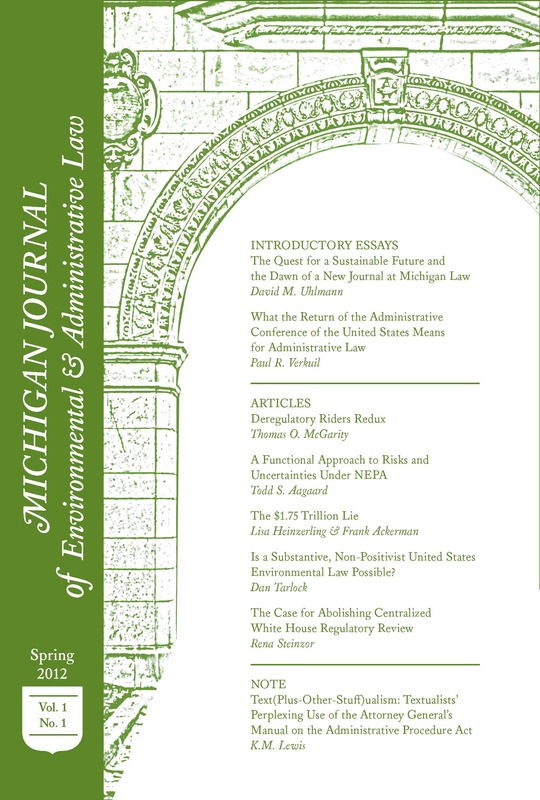 [xi] W. Todd Miller, The Central Registry Statute for Abuse and Neglect Matters Is Constitutionally Flawed, 8 Rutgers J.L. & Pub. Pol’y 651, 661 (2011). Prev Are Federal Courts Finally Through Debating EPA’s Regulatory Authority Over Greenhouse Gases? Next Uranium Mining in the Navajo Nation after Hydro Resources, Inc.